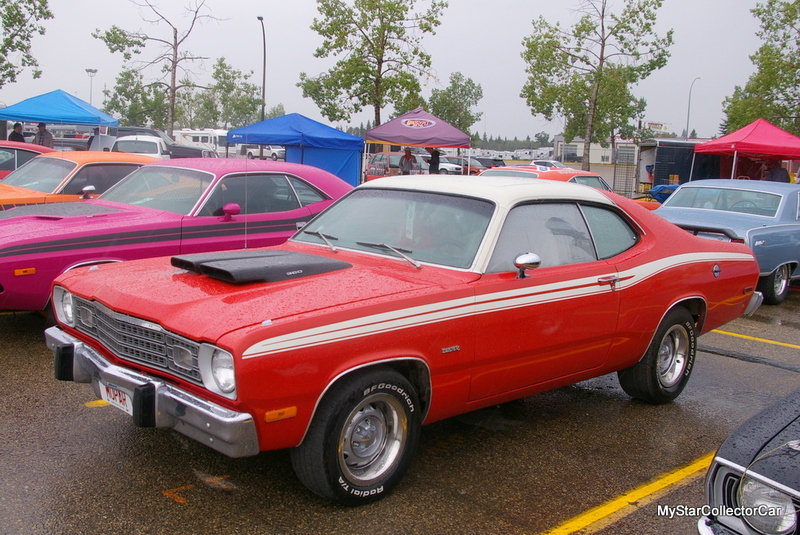 The Plymouth Duster was a game-changer for the Plymouth Division at Chrysler when it debuted as a 1970 model. The Plymouth Valiant was considered to be a practical transportation choice for owners who were more concerned about MPG and less concerned about 0-60 times on their car checklist. The sporty Plymouth Duster was an affordable Valiant-based alternative and was only offered in a two-door fastback coupe version. 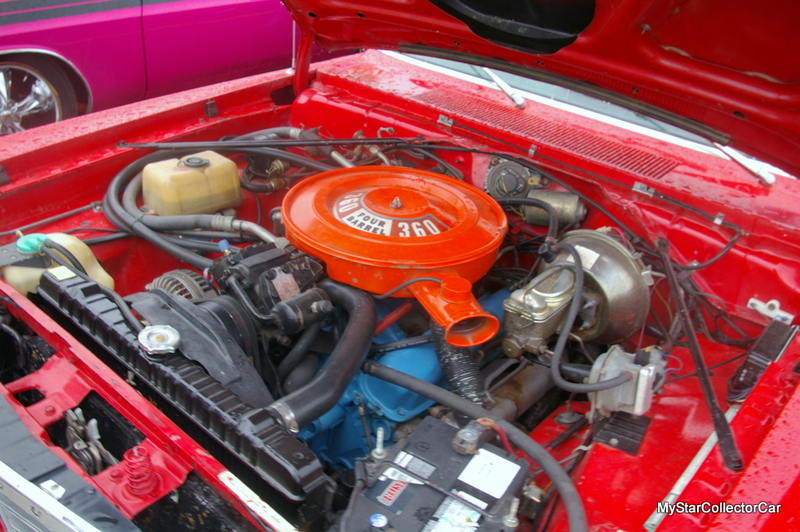 The performance choices in the Duster ranged from a Valiant-like basic Slant Six to a muscular small block performance option. Darren Hilsendager has been a Mopar fan for a long time. In fact, his first car was a 1974 Charger that he owned when he was a 17-year-old. 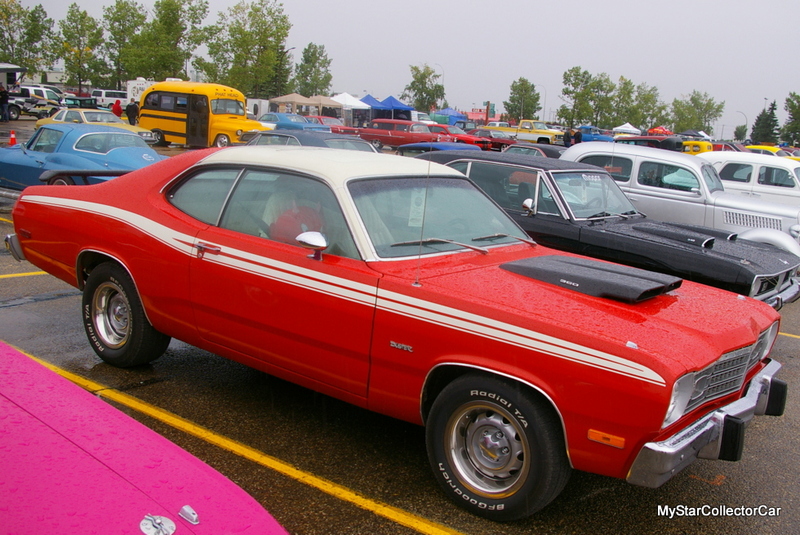 He also owned a 1975 Duster at one point during his long history as a Mopar fan. Therefore it should not be a big surprise when Darren started his search for another 1970s-era car built by the Chrysler Corporation. 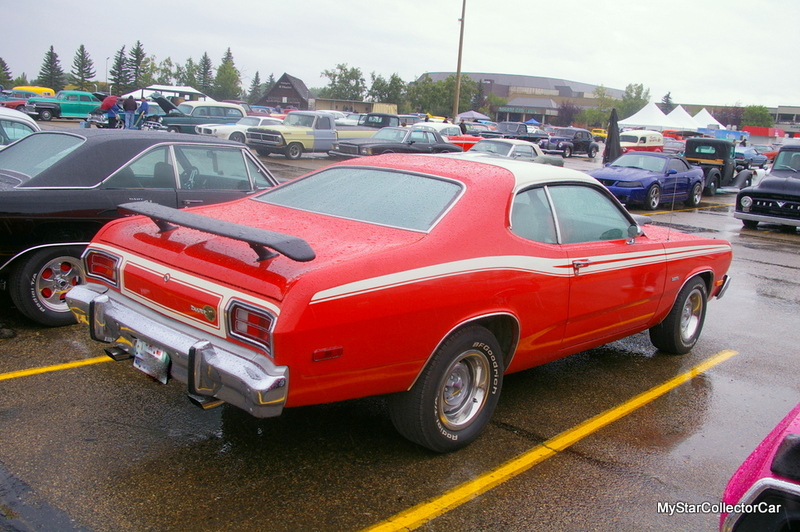 His search ended about 6 years ago when he became the owner of a fully loaded 1974 Plymouth Duster. 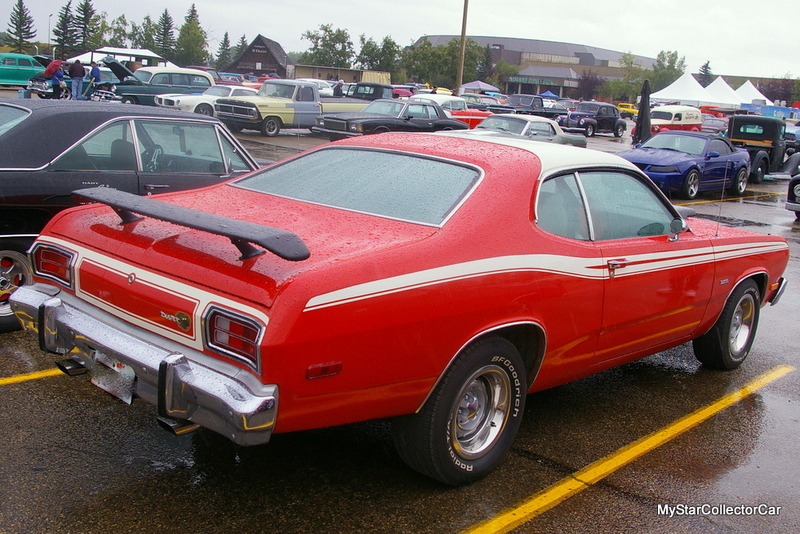 The ’74 Duster has all of the options checked off on its build sheet because its first owner decided to add every creature comfort known to Mopar when he purchased the Duster 45 years ago in the United States. 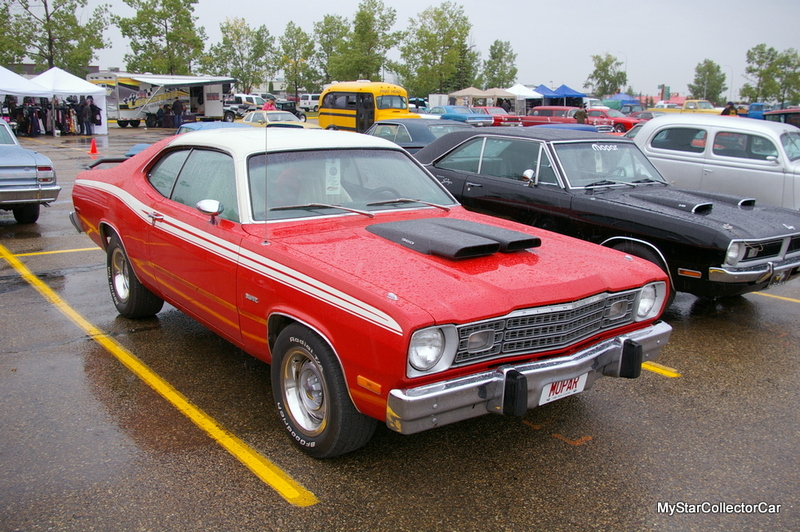 The Duster was also well-maintained over the past several decades ever since it left the dealership for the first time in ’74. Darren referred to the car as a double-tagged car because the Duster has so many options and required two tags to list the entire package. The factory option list includes power steering, power brakes with front discs, power windows, cruise control, moon roof (retractable roof), along with a working air conditioning system. 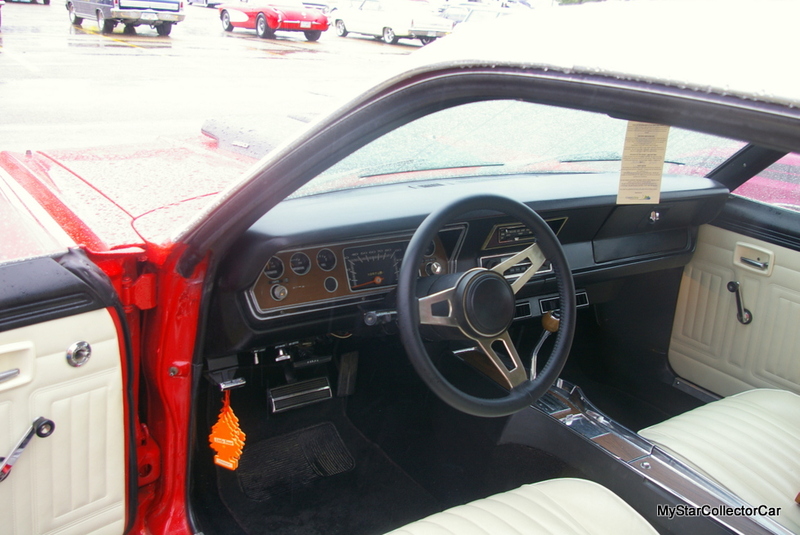 Darren mentioned that his AC still works so well that he had to open the moon roof to let in warm air during a hot summer cruise in his Duster because his toes were getting too cold. The car also has its factory power train that includes a special order 360 engine option bolted up to a 3-speed Torqueflite automatic transmission. 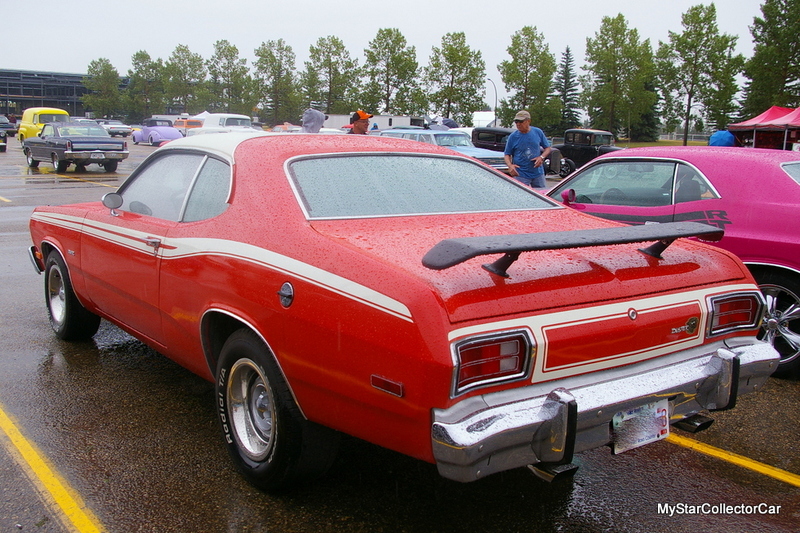 The exterior factory options on the ’74 Duster include twin hood scoops, a rear spoiler, and signal light indicator mounted on the top of the front fenders. 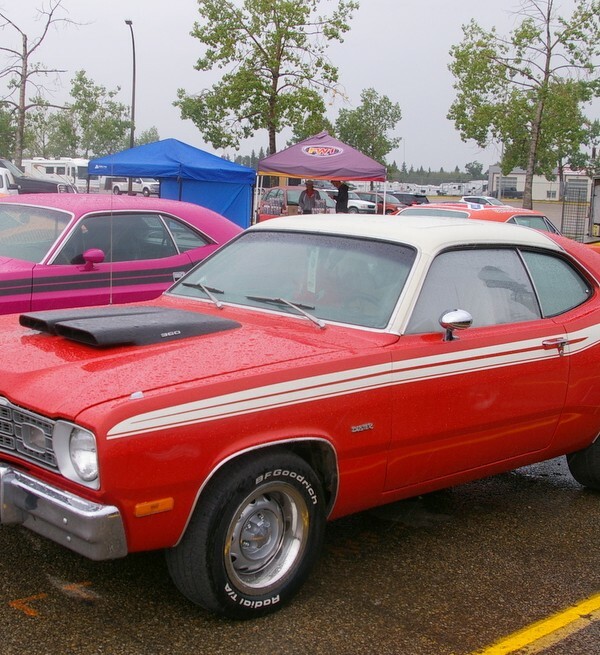 Darren mentioned the Duster was repainted in its original red and white paint scheme about 20 years ago. Darren admitted that he considered selling the car at one point-but he truly enjoys all of the creature comforts that came from the Chrysler factory with his car-so he is unwilling to part with his Duster to begin another search for another vintage Mopar with a generous array of factory options. Darren added that he puts about 5000 miles on his Duster every year. 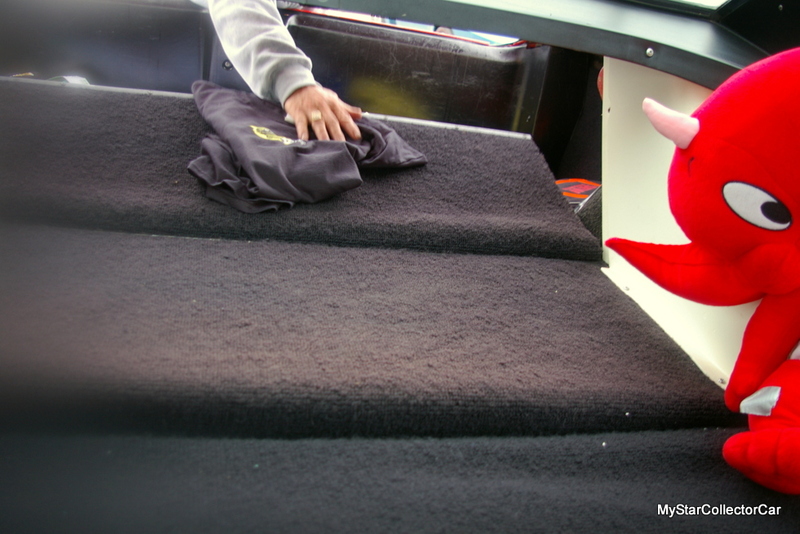 MyStarCollectorCar would assume (with a great deal of confidence) that Darren is pretty comfortable during every excursion because of the large array of options in the Duster. 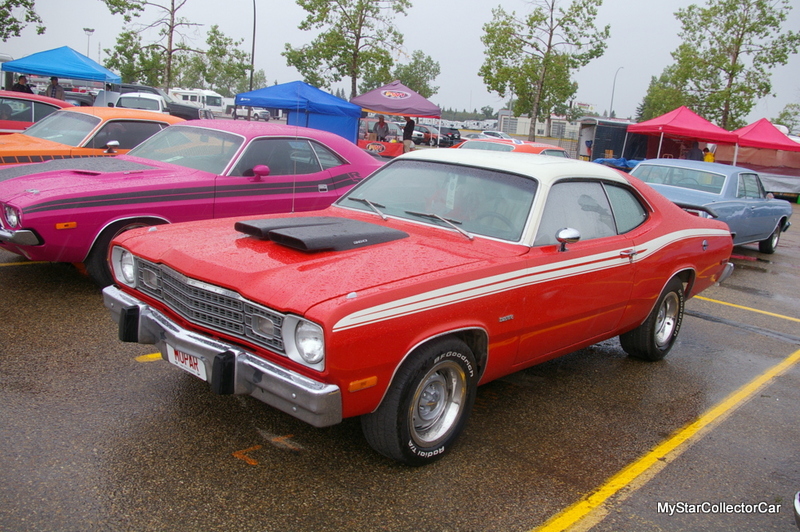 Darren’s 1974 Plymouth Duster has given him thousands of trouble-free miles on the road over the past six years. 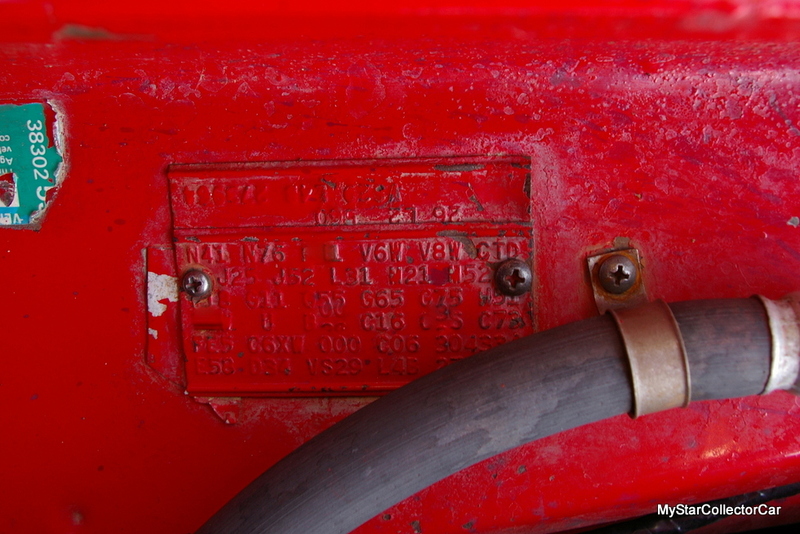 The car has also given him access to every whistle and buzzer made available by Plymouth in 1974 to make their owners comfortable on the road. All of the above means Darren is very unlikely to end his six year Duster ownership.